One mom in Canada is going above and beyond to make her children's day extra special with her unique artwork. 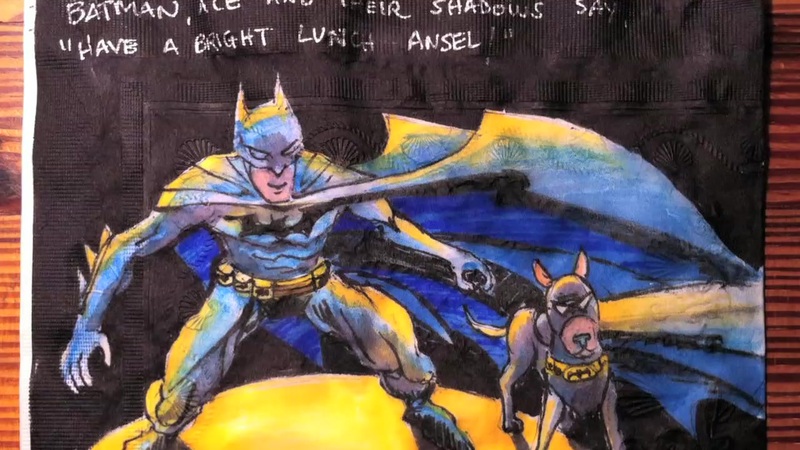 For the past few months, Jenn Augilar has posted creative lunch bag adventure drawings that were made for her sons Kale, 14, and Konnor, 12, on Instagram. "I wanted to show my boys how much I love them and give them something to look forward to each and every day," Aguilar wrote to Mashable. "It's my type of love language." The pun-filled doodles feature all kinds of things the boys are into like music, food and movies. "My inspiration comes from whatever the boys are into at the time," Aguilar said. "Sometimes, it's movies we've seen, music we were listening to or just something I think of." ​And Kale and Konor love their mother's thoughtfulness. "They enjoy them and look forward to seeing them," she said. http://www.cbc.ca/news/canada/calgary/airdrie-mother-lunch-bag-project-1.3645556. So... My lunch bags made the news today. A lot humbled and stunned. But, seriously who wouldn't want to receive such a fun surprise everyday?